Every little girl loves a custom birthday cake. 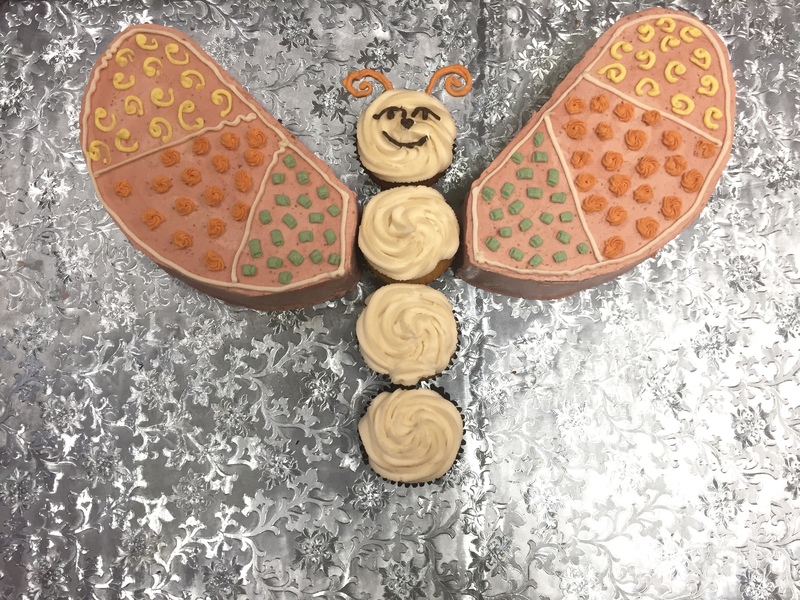 Today we created a tutorial for an easy custom paleo butterfly cake perfect for a little girls birthday, Easter, or spring event. 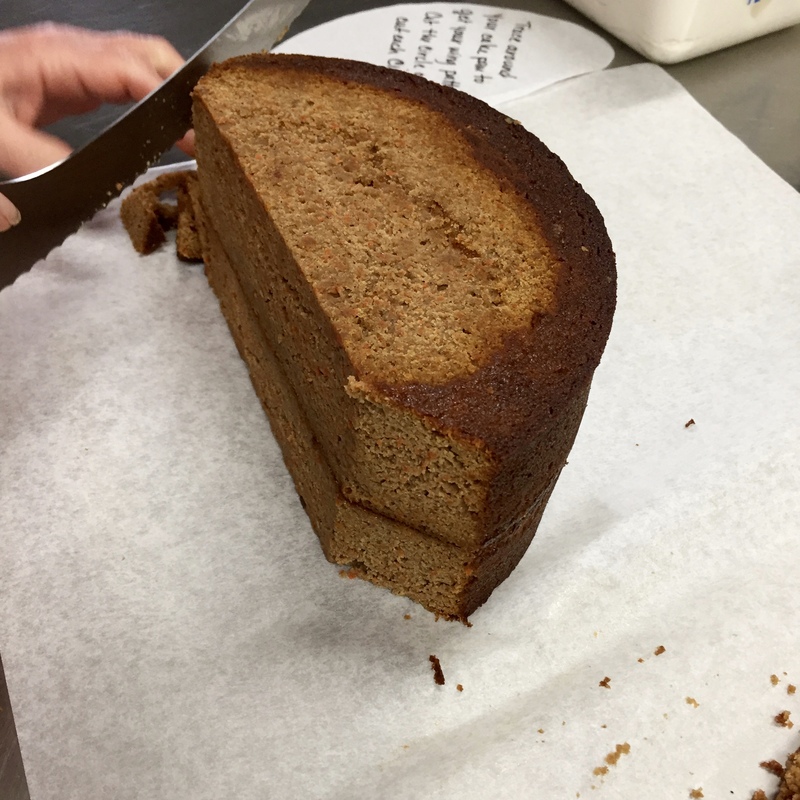 We’ve included some suggested paleo recipes for the cake and frosting. 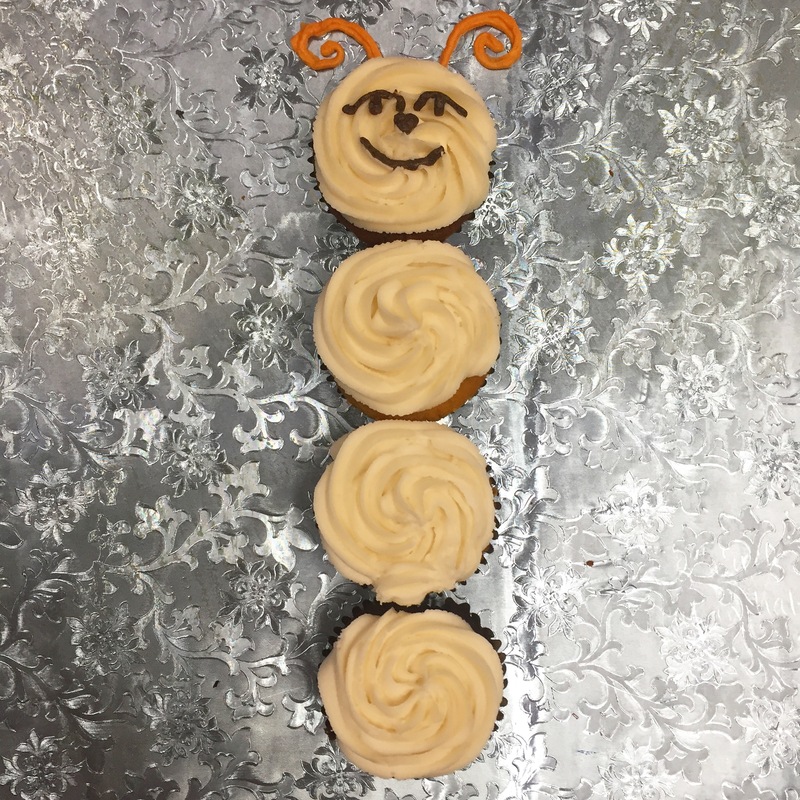 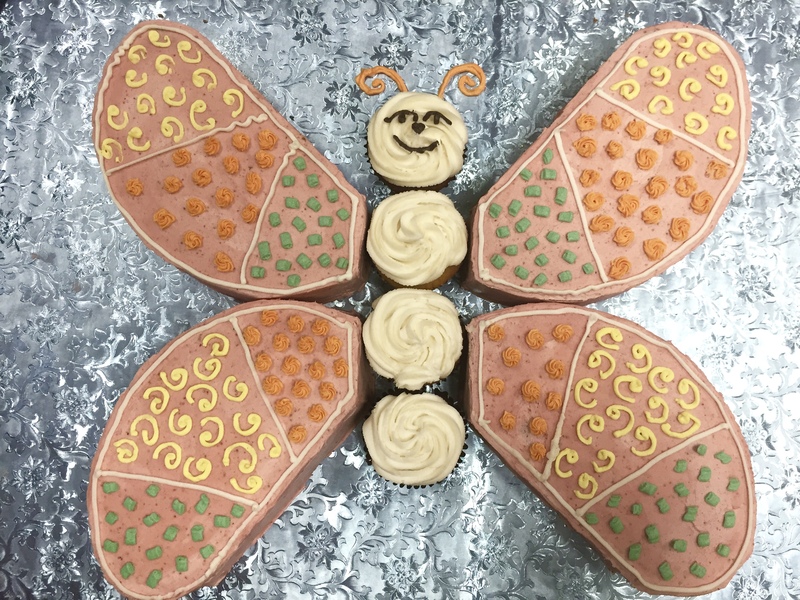 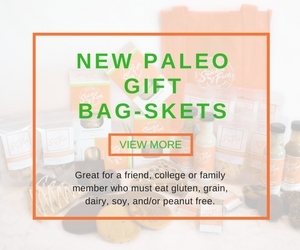 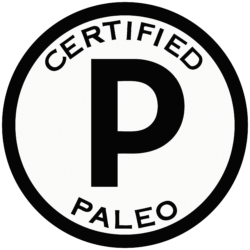 We hope you have fun creating a custom paleo butterfly cake. 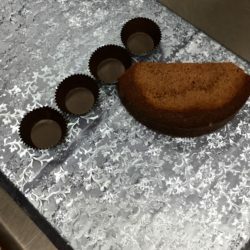 Icing (this recipe is a good choice. 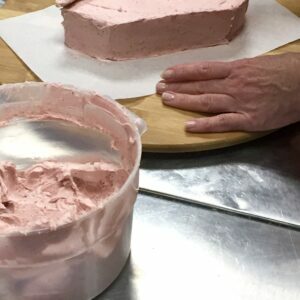 Trucolor is the all natural food color we use for all our frosting. 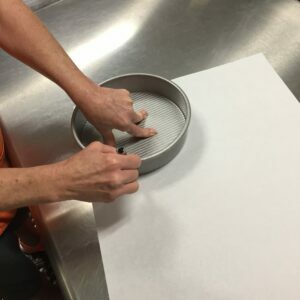 Create stencils with parchment paper by tracing a 9” cake pan. 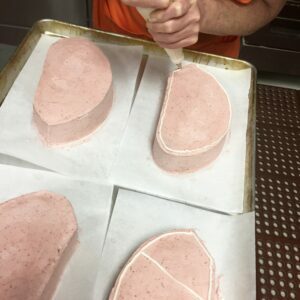 Cut out the circle and cut in half. 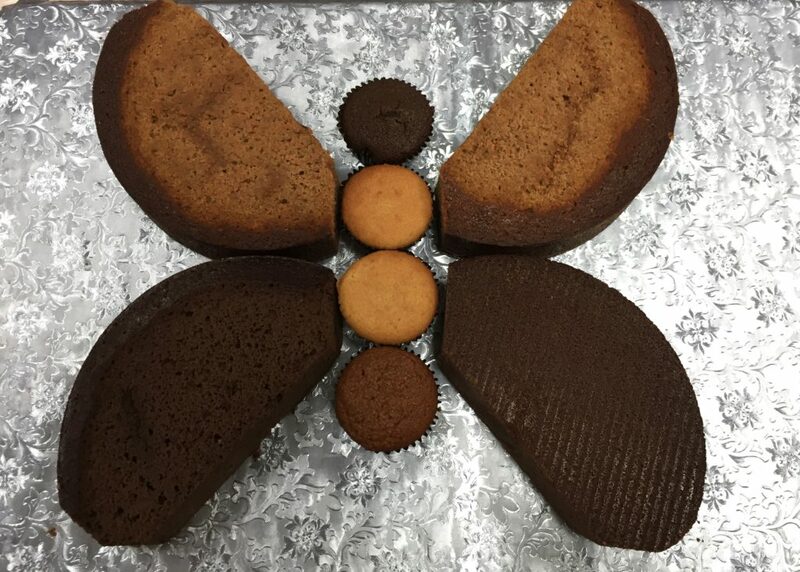 Overlap the 2 halves and shape the corners for the wings to create the shape of the butterfly cake. 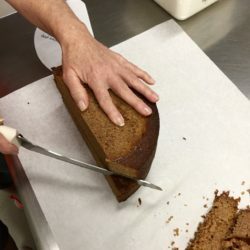 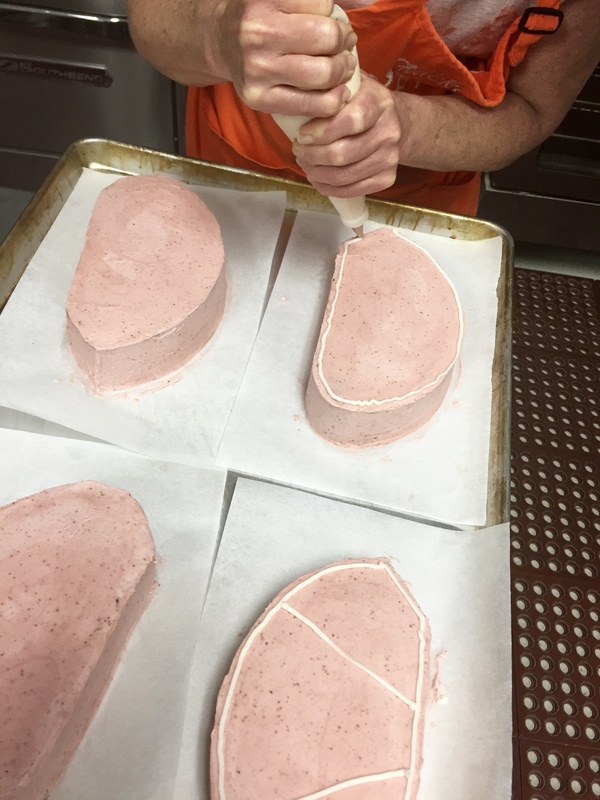 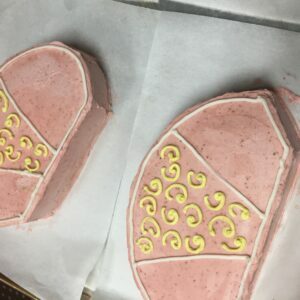 Cut each 9” round cake in half. Trim the top of each cake flat and set that side down. 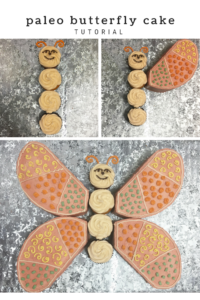 Stack the two halves on top of one another and cut one set of corners off where they will sit next to the body then round the other corners to look like butterfly wings (use the stencils you made if you need some help with this step). 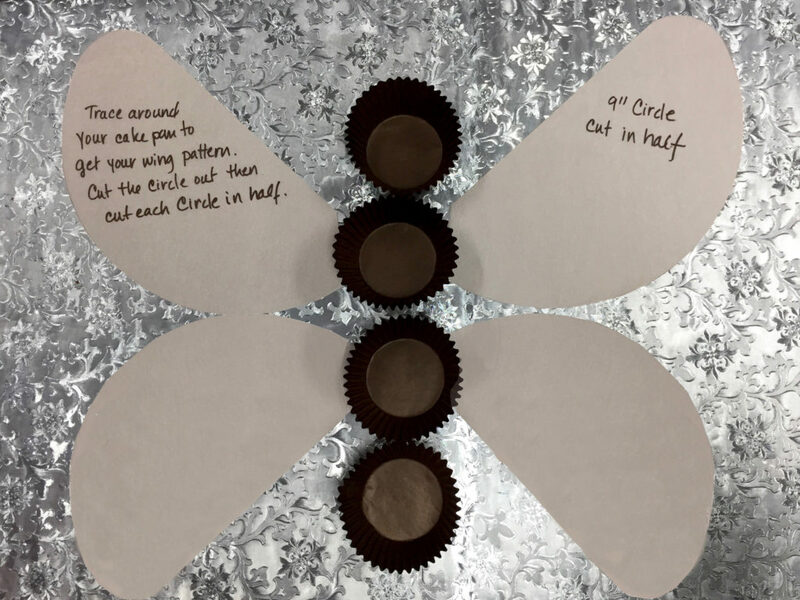 Do this for the top set of wings and bottom set of wings. Tint some of the frosting to ice the wings of the butterfly cake. 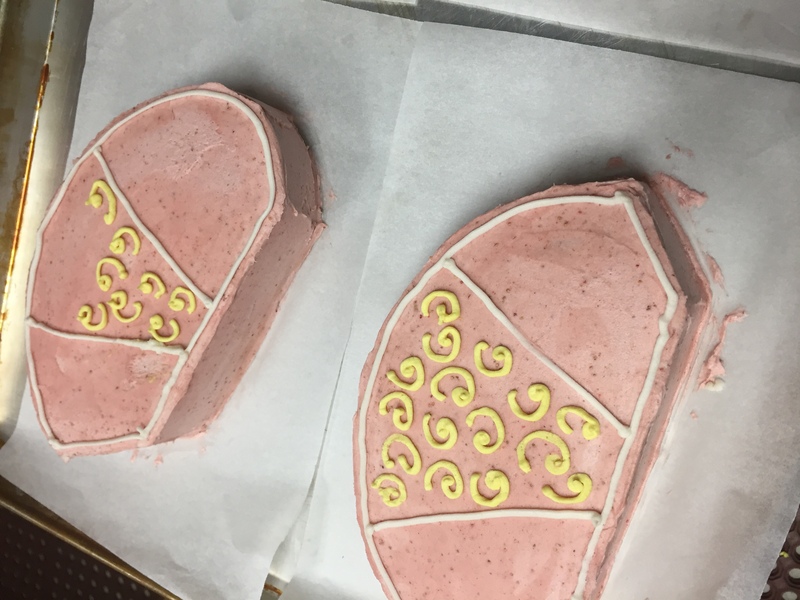 Ice each piece of cake with the color frosting of your choice we choose pink. 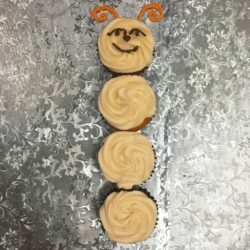 Also ice the cupcakes that will be used as the body of the butterfly we choose white. 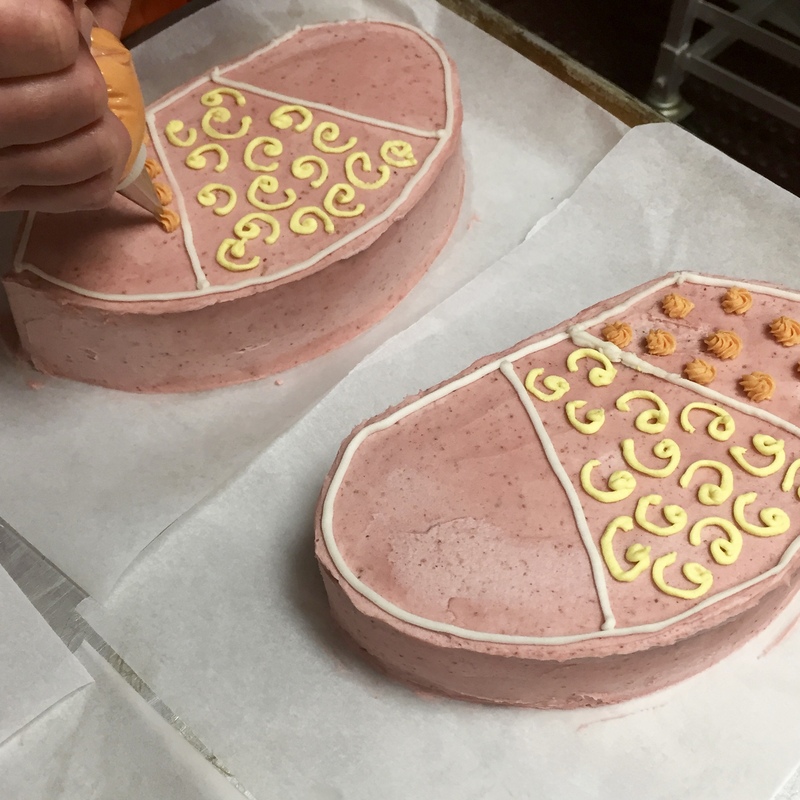 Fill your piping bag with white frosting and outline each cake half add two lines across to create 3 sections of the wing. 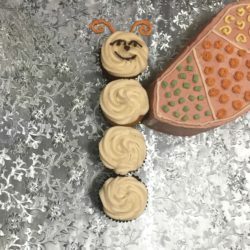 Split some of the leftover frosting into 3 separate dishes and tint them the colors of your choice we choose orange, white, and green using TruColor natural food coloring. 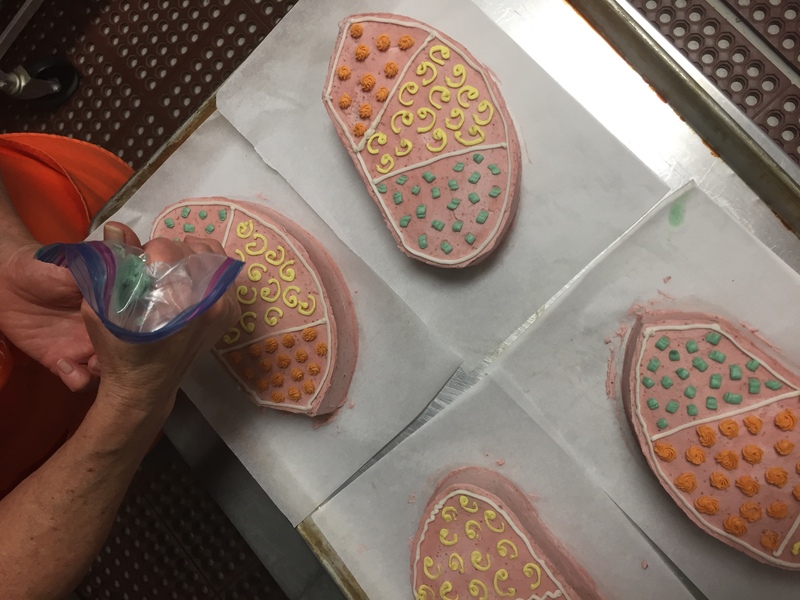 Fill a piping bag with one of the colors using a piping tip of your choice. 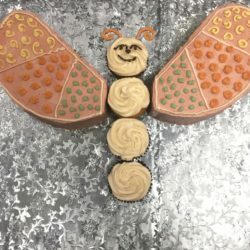 Start piping in one section of the wings and mimic on the other side. 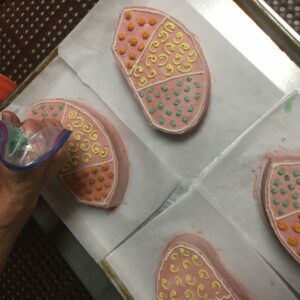 Repeat this with each section and color using the design and piping tips of choice. 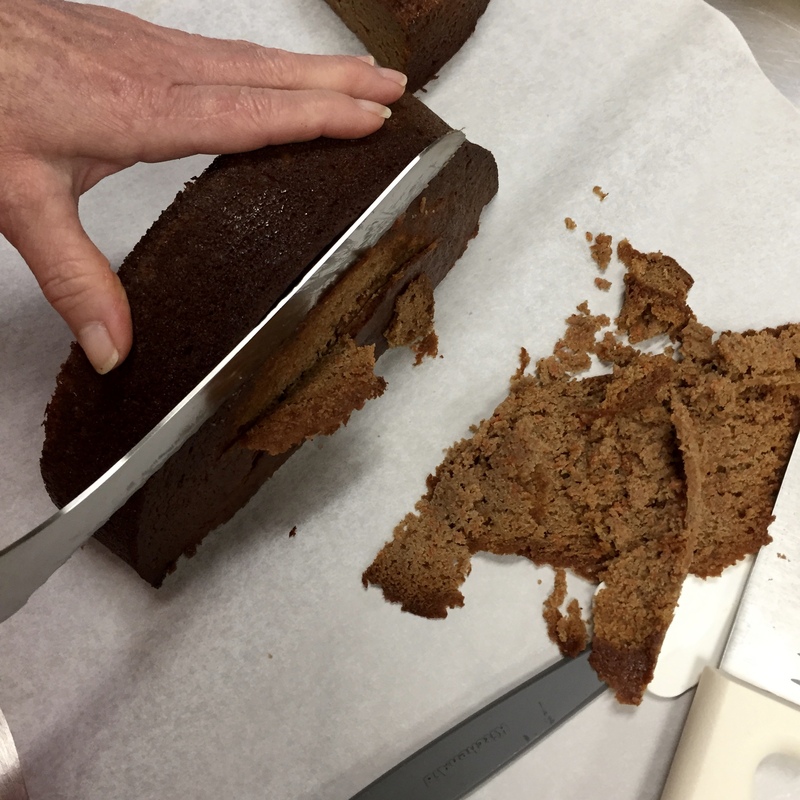 In a mixing bowl, whisk the dry ingredients – cocoa powder, coconut flour, chia seed meal, baking soda, baking powder, and salt. In a separate mixing bowl, use an electric mixer to combine the wet ingredients – eggs, applesauce, honey, vanilla extract, and liquid vanilla stevia, adding the melted coconut oil last. 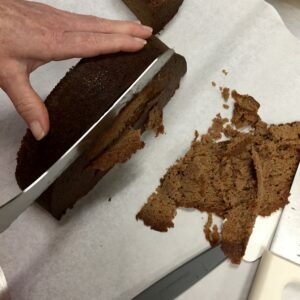 Grease the 9” round cake pans with coconut oil and place 4 unbleached paper liners in a muffin tin. 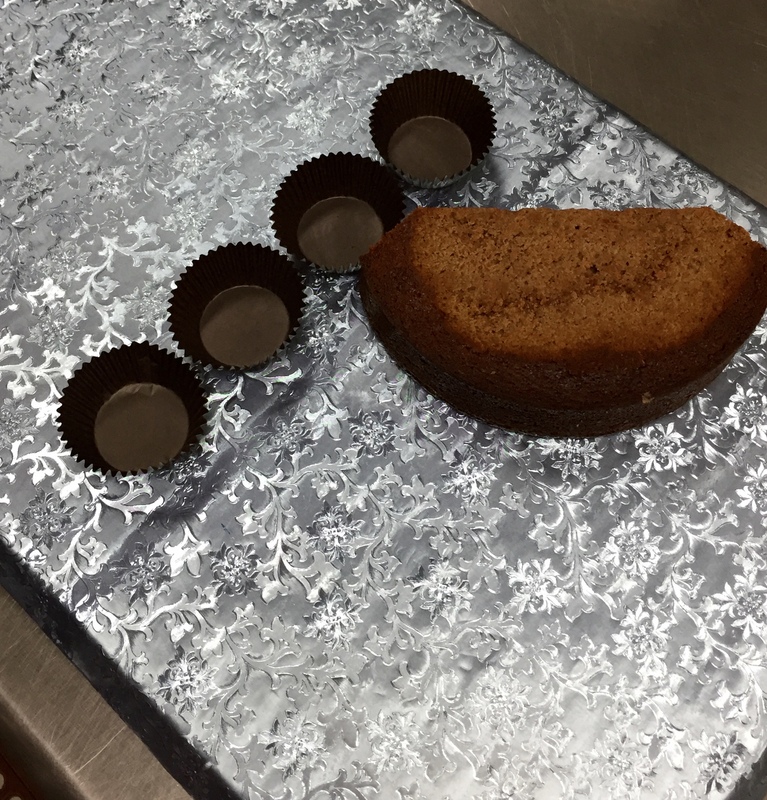 Fill the cake pans and liners ¾ full with the batter. 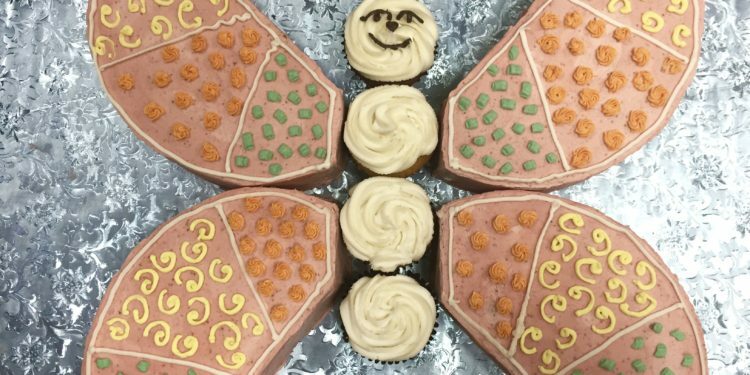 Bake the cupcakes and cakes for about 28 minutes or until a toothpick inserted into the center comes out clean. 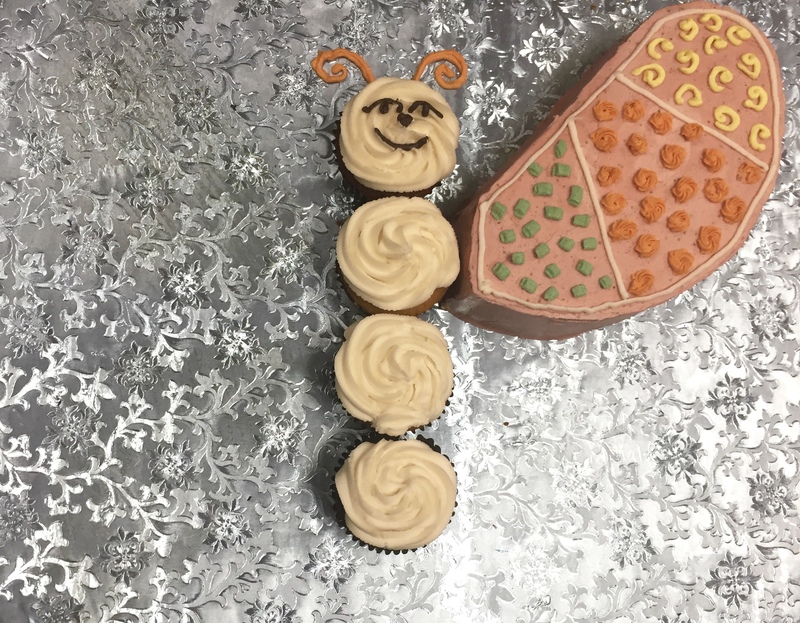 Let them cool completely before frosting. 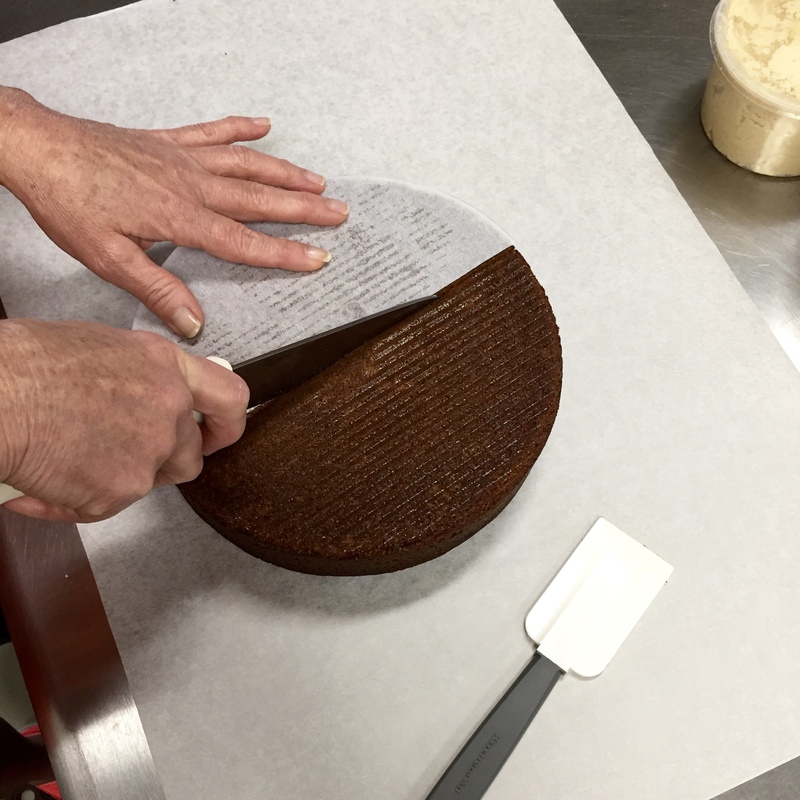 We recommend baking the cakes the day before decorating. 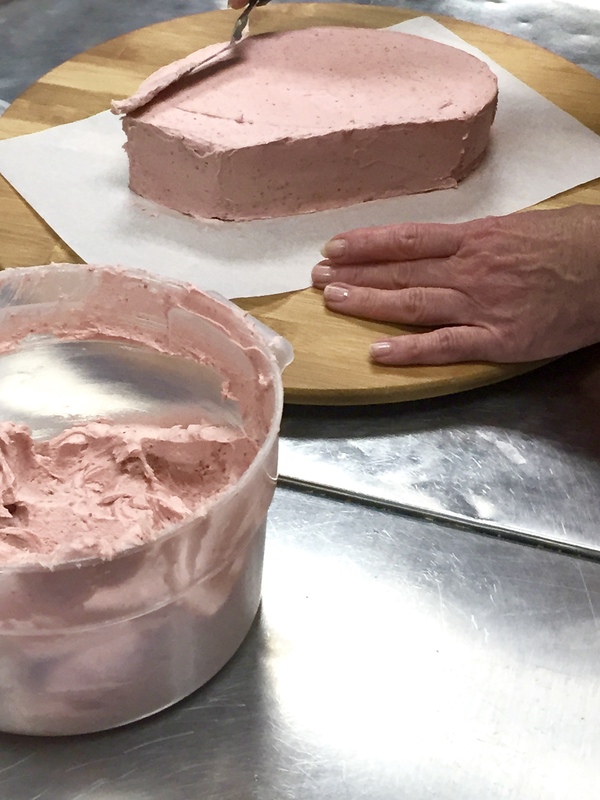 In a mixing bowl combine all of the frosting ingredients with a handheld mixer. 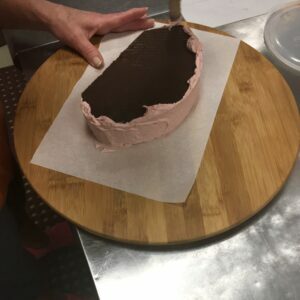 Follow TruColors directions to create the color needed and mix with amount of frosting desired.